Three doctors who evaluated U.S. personnel affected by alleged attacks in Cuba believe that they were carried out with a weapon that uses directed energy and is capable of causing a “cavitation” effect. “Neuro-weapons” can be biological, chemical, or in the case of the incidents in Havana, “directed energy weapons,” Dr. James Giordano told National Defense magazine. He is a professor in the departments of neurology and biochemistry at the Medical Center of Georgetown University Medical Center, and an expert in “neurotechnology” and its use in the military. 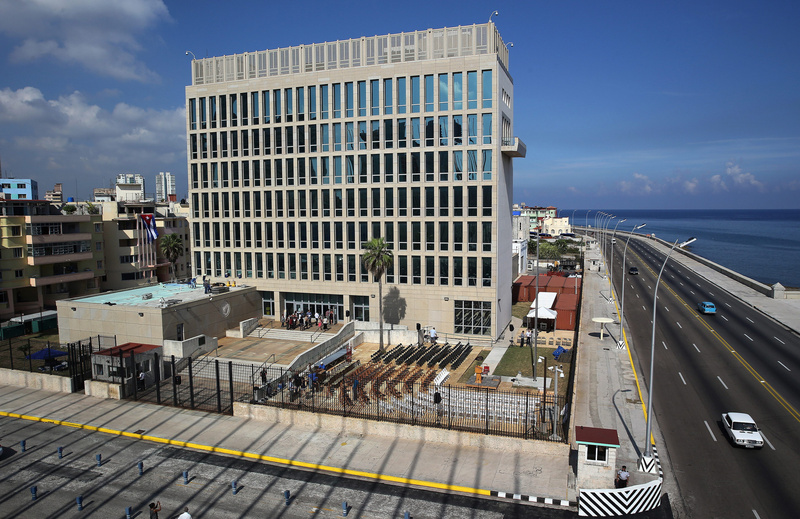 On Thursday, U.S. Department of State officials said in a congressional hearing that investigators still do not know how the attacks against U.S. personnel at the embassy in Havana were carried out or who the perpetrators are. The attacks began in late 2016 and the most recent was reported in May. But three doctors that are part of a team put together by the State Department believe that those affected by the attacks may have been exposed to a directed energy weapon, which can cause injury by creating “cavitation,” or air pockets, in fluids near the inner ear. The bubbles can travel quickly through two pathways that carry blood to the brain from the inner ear — the cochlear and the vestibular — and “function as a stroke,” Giordano said. So far, 26 Americans have been affected with symptoms ranging from hearing loss, balance and cognitive problems, to brain damage. The team created by the government includes an expert in brain trauma and otolaryngology, Dr. Michael Hoffer of the University of Miami, and Dr. Carey Balaban, professor of otolaryngology, bioengineering and neurobiology at the University of Pittsburgh. Giordano, Hoffer and Balaban independently studied the first tests taken by those affected. The victims traveled to Miami to be evaluated and Hoffer also traveled to Havana shortly after the first incidents were reported in late December 2016, all occurring in diplomatic residences and two hotels. The U.S. personnel he examined said they were sitting in their homes, or at the hotel, when they suddenly felt the symptoms: a feeling of pressure, pain or ringing in the ears and dizziness after being exposed to a shrill noise. A day later, some reported cognitive deficits. Hoffer said that some of those affected said they perceived that the energy “beam” followed them around their homes or at the hotel, and it only ceased when they opened the front door.